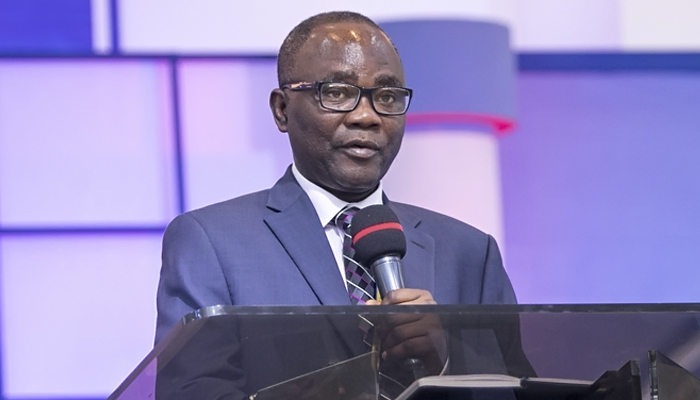 The Asokwa Area Head of The Church of Pentecost, Prophet James Osei Amaniampong, has challenged Christian students to be good ambassadors of Christ for the world to see the beauty of Christ in them. Prophet Amaniampong said this at the 2018 Inter Tertiary Institutions of the Pentecost Students and Associates (ITI-PENSA) China National Conference which took place in Wuhan, China from October 1-5, 2018. The conference dubbed ‘Miseo Kosmos’ which was under the theme, “Remain in Christ and His Basic Message” (1 John 2:24-25), was hosted by Pastor Jonas Bekpene Beddim (National Head of The Church of Pentecost for China and Hong Kong). Prophet Amaniampong, an Executive Council Member of the Church, centred his ministration on the theme of the conference, and advised the students to remain in the light and live for Christ as ambassadors such that their life patterns will reflect the teachings of Jesus Christ. He encouraged the youth to find godly friends who will spur them onto Christ-likeness. He also entreated them to have consistent fellowship with the brethren, listen to Christian messages and songs, make time to share the gospel of Christ with others, and watch videos or movies that are Christ-centered. Prophet Amaniampong also brought the youth attention to certain strange doctrines and practices going on in some churches and warned them to desist from such practices. He indicated that they can only overcome false doctrines by remaining in the foundational message of Jesus Christ. Explaining the basic message of Christ, he said, “Jesus is the centre, key, pillar, and pivot of the gospel. Jesus is God’s only accredited saviour. The basic message administers freedom from sin” (Matthew 16:16-18, 1 Corinthians 15:1-4). He explained that Jesus Christ is the greatest agent of change (Matthew 4:17). He emphasized that it takes a changed mind to receive a blessing from God. He explained further that it is God’s will for the individual to be agents of change in order to connect with others and help them discover their potentials. Sharing some ways to become agents of change, Elder Ameyaw asked the students to desire to change (Philippians 2:13), discover their seed (purpose), cultivate their seed and use the word of God. Also addressing the students on the topic, “Building on the Basics of Our Forefathers – Our Core Mandate” based on 2 Timothy 1:13-14, Judges 2:10, Pastor Jonas Bekpene Beddim (National Head of the Church for China and Hong Kong), advised the youth to build on the foundations laid by the forefathers and not to discard it. Pastor Beddim stated: “Church is the only hope of researching the changeable changing world.” He encouraged the youth to learn at the feet of the fathers and continue the good works they have started. The President of PENSA-Wuhan, Pastor Kwame Sarfo, in a presentation on the theme, “How to Evangelize to a Muslim,” advised Christians to pray for the Holy Spirit to lead and give them wisdom in evangelizing Muslims. He noted that it is not appropriate to rush or argue with them. He shared numerous examples on how to approach a Muslim with the gospel and advised Christians to be generous and practice what they preach. Mrs. Georgina Birago Amaniampong (wife of Prophet Amaniampong) facilitated a workshop on the ‘Preparation towards Godly Marriage.’ She advised the youth to keep the Church informed during the marriage process and do some background investigations about the family of the would-be-spouse to establish their beliefs, health conditions, etc.